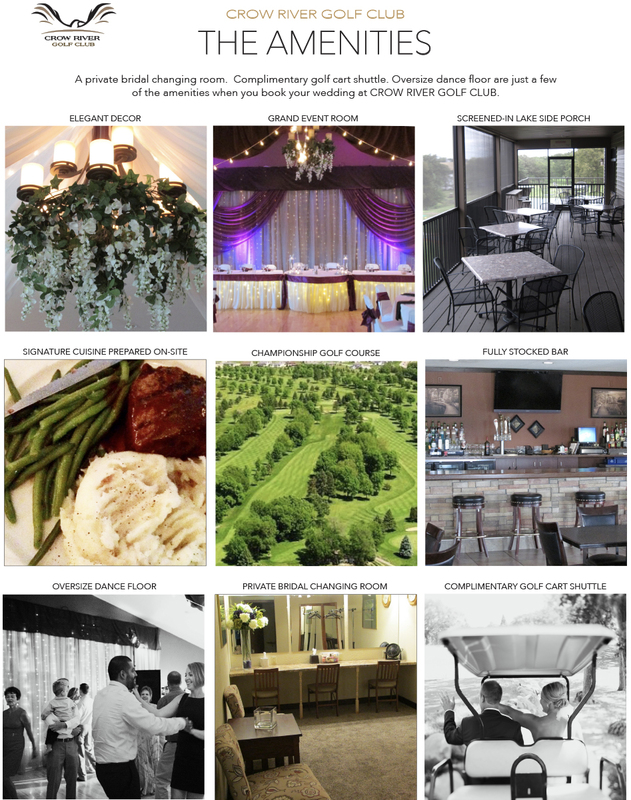 The Crow River Golf Course has long been known for its spectacular cuisine. 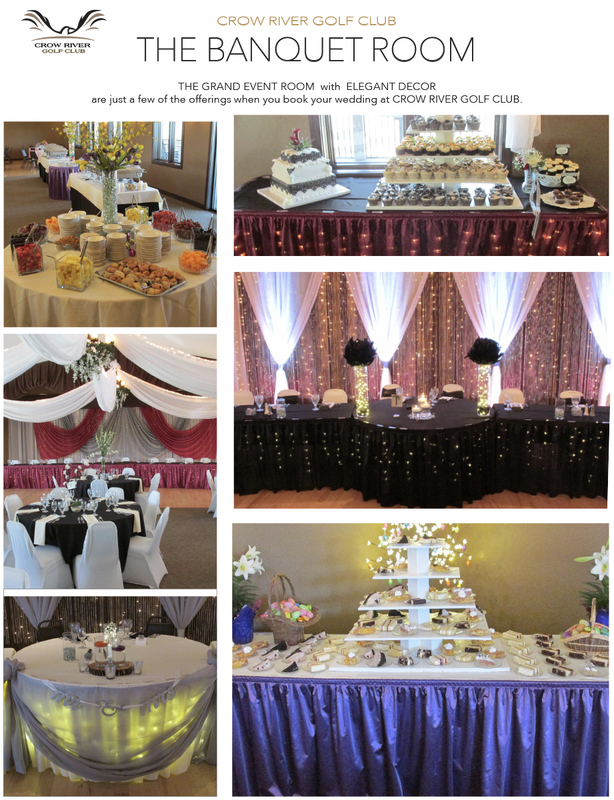 Our wedding planner is ready to customize your personalized menu, or expertly prepare your selection from our extensive banquet menu. Complete the below form for more information and to check on available dates or email/call Brian Reckow at brian@crowrivergolf.com or 320-587-3070 Ext.